Unless you're based in Scandinavia, though, it's going to be a long trek to get there. The world premiere is all set to take place in Gothenburg, Sweden, on Friday 21 November at 10pm. Admission is free and the first ten guests will get a copy of the album for nothing. 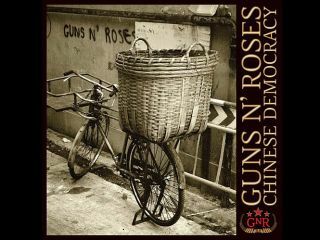 Everyone else can buy a copy on the night, so it looks like GN'R and Universal Music are resigned to the fact that the album will leak before the official Best Buy release. Considering previous efforts to quash such events, this is quite a surprise.